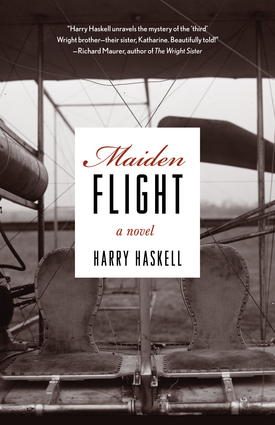 Maiden Flight is the true-life story of the Wright sister who in 1926 left her world-famous and intensely possessive older brother to marry newspaper editor Harry Haskell, the man she loved, and suffered the unhappy consequences. An international celebrity in her own right, Katharine embodied the worldly, independent, and self-fulfilled New Woman of the early twentieth century. Yet she remained in many ways a Victorian. Torn between duty and love, she agonized for months before making her devastating break with Orville at age fifty-two.Cast in the form of three interwoven first-person memoirs, Maiden Flight is imaginatively reconstructed from personal letters, newspaper reports, and other documents of the period—in particular, Katharine's lively and extraordinarily revealing love letters to Harry. In allowing Katharine to step outside of Wilbur and Orville's shadow, it sheds new light on the central role she played in their private lives, as well as on her often misunderstood contribution to their scientific work. Above all, Maiden Flight celebrates Katharine's abundant store of what she called "human nature"—her lively and perceptive outlook on life, her great capacity for both love and indignation, and her acute and sometimes crippling self-awareness.